For those of you who do not have room for yesterday's giant hosta, I bring you a miniature hosta called 'Cat and Mouse'. 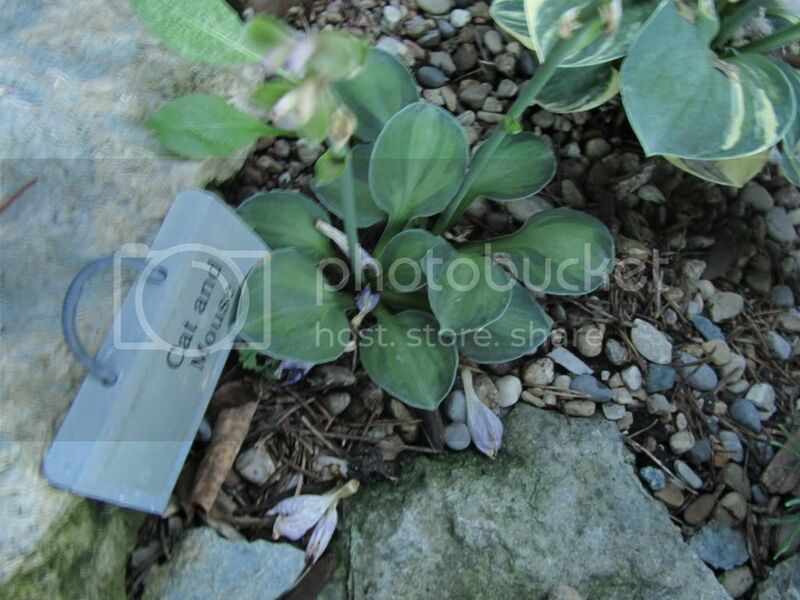 It is a sport of the hosta 'Blue Mouse Ears' I featured last week. Like the other mouse ears hostas, this one has very thick leaves. 'Cat and Mouse' has a chartreuse center with a blue/green margin. It sometimes almost appears to be more striped or even tri-colored than simply a green hosta with a chartreuse center. Love it! What a great variety of color, size, and purpose! I can't tell you how much I'm enjoying this series as I look out my window at the dreary grey sky. Nice work. Love these! 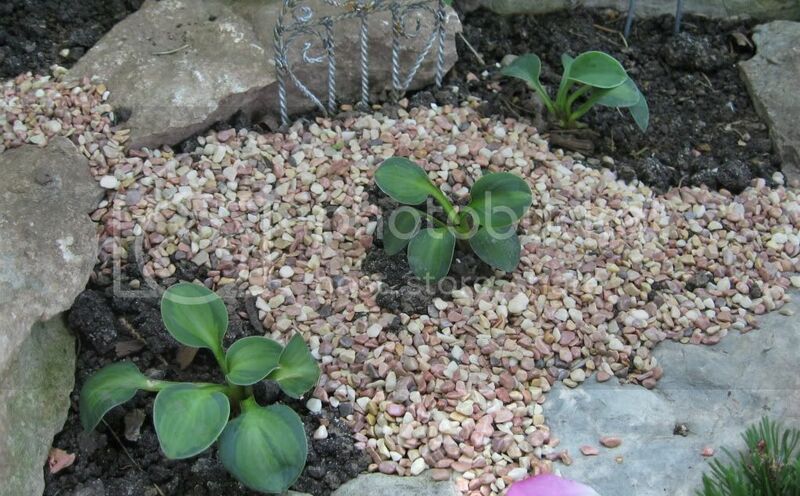 I have three different mouse ear hosta that I've had for four years. They are great! Thanks! I appreciate the comments. At least it sort of feels like spring these last couple of days with almost 50 degree weather here. This one is cute. Little. I didn't know that there were smaller hostas out there.